There are a lot of new methods and innovative ways that businesses are trying their hands on to improve customer service and build long-term relationships. 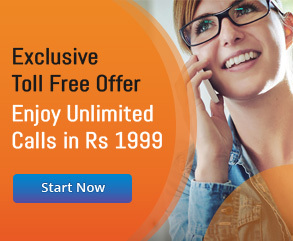 One such method is missed call marketing. Before we get into the various advantages that missed called marketing has for a business, let us first understand what missed call marketing actually is and how can it be beneficial. What is Missed Call Marketing? Missed call marketing is a method which new businesses can use to promote their products and services. Businesses can simply release their telephone number among the customers and ask them to give missed call for any promotional or other purposes. 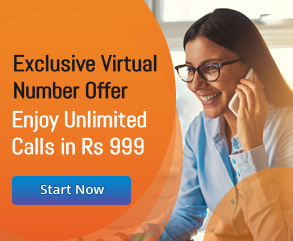 The call is considered as a missed call because the call automatically gets disconnected after 2-3 rings after registering the customers’ interest or response. Let us look at an example when the missed call marketing technique became popular, and companies started to adopt it. A company started to offer their customers live cricket updates of their favourite team’s game. The customers could do this by just leaving a missed call on a given number, and they would receive continuous live updates. This proved to be very beneficial and greatly improved the customer relations of that company. And the initial expenditure for the company did not prove to be high to market their new service. All it took them was to get the word out through social media platforms such as Facebook by way of advertisements and posts on their company profile. Within a few months, their customer base reached into the millions. This example clearly indicates that adopting a missed call marketing technique can help the company in gaining popularity as well as in building a healthy customer relationship. What Missed Call Marketing Mean for Customers? For all the customers out there, missed call marketing can be a very laid back and easily accessible method to get in touch with a business. Customers today do not have much time due to their busy lifestyles and prefer to get in touch with companies through quick and convenient methods. This is beneficial for the customers who do not have access to the internet at all times and are short on balance most of the time. Customers appreciate the miss call service when it comes to quick query resolution such as checking the bank balance, outstanding phone bill or casting vote. What Missed Call Marketing Mean for Business? Looking from the perspective of a business, it is a very cost-effective marketing tool. This is so because companies can be assured that people can reach out to them without any cost via a missed call. Companies also do not have to employ hundreds of customer service agents 24/7 to attend these customers as this kind of marketing does not require any conversation. How is Missed Call Service Beneficial for Business? In a nutshell, missed call marketing can help a business grow by fulfilling multiple goals or targets simultaneously. These goals or targets include creating and improving brand awareness, attracting relevant leads, and helping in the analysis of campaign. Missed call marketing is a new age marketing method which provides an effective and efficient way of building brand promotion. 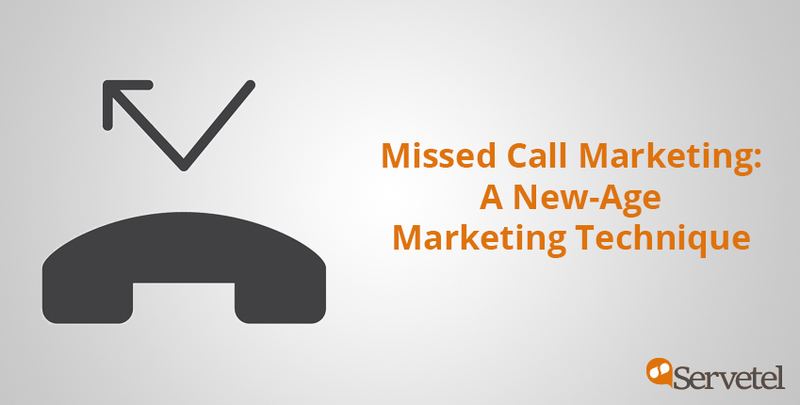 Let us dive deeper into how missed call marketing is actually beneficial for businesses today. Time is an essential factor in today’s world. This is true from both customer as well as the company perspective. People today do not want to spend their time in filling out long registration forms in order to register themselves for any service. Instead, a much simpler method would be for them to leave a missed call at the provided company telephone number and let the agents get back to them at a later time. Missed Call service can help to avoid the disgruntlement of many customers and ensure that customers continue to believe in company. Also, if you look from a different side, a company effectively reduces their costs by easily connecting to the customers without employing the extra manpower and hardware at different locations. In 2016, research was conducted which showed that around 15.4 million consumers became the victims of identity theft. It is no secret, that fraudulent practices are rampant all over the internet, and most time, the fraudsters pose as agents or representatives of the companies. This is a cause of concern for companies as it can lead to bad public relations with their audience. Missed call services act as a protective barrier for companies against the bad image that the fraudster actions cause. The way it works is, customers are asked to give a missed call on the verified and official telephone numbers provided by the company. Once the customer makes the call, the automated Interactive Voice Response (IVR) can verify the number of the customer. This feature is very helpful in filtering out the fake and spam calls. Many e-commerce companies, restaurants and other online service providers can use missed call service to verify the options chosen by their customers. For instance, if their customers opt for Cash-On-Delivery option, then it must be appropriately verified to avoid any huge losses. Any such loss will be incurred on the company’s end. Companies can reach out to a wider demographic across both urban and rural areas, as now customers from both urban and rural societies have phones. It enables them to reach companies using their phones which is a time as well as cost-efficient method. Apart from targeting population with smartphones, missed call service can also be used by the people basic phones or landlines. This flexibility helps the companies to target wider amount of people with their missed call service. This is something which does not need a lot of explanation. It costs nothing for customers to give a missed call, except maybe a few seconds. Missed call service fulfils the business purpose without costing time and money to the customers. This also helps in building good customer relations. Surveys and votes conducted through messages is a huge burden on both companies and customers. And customers do not prefer this method of surveys as it asks them to invest good amount of time and effort. Whereas, miss calls for votes and surveys save a lot more time and money. It targets all kind of customers whether they are technologically well-versed or not. Even customers with landlines phones can participate in such surveys which makes the reach of the surveys wider.